Maintx helps you extend the life ​of ​your assets while maintaining a safe ​operating ​environment. Maintx helps you to keep your assets ​available in good, safe, reliable ​and effective working order. Maintx helps you manage supplies and spare parts including an overview ​of your asset-related inventory. costs and extend asset life. ​very easy to install, so if you're looking for a powerful but yet simple maintenance management solution this is it. Picture from one of Samherji Ltd land factories in Icleland. ​We are proud to announce that Samherji Ltd, Iceland, has chosen to implement Maintx for managing the maintenance of its land based factories in Iceland and some of its fishing vessels. 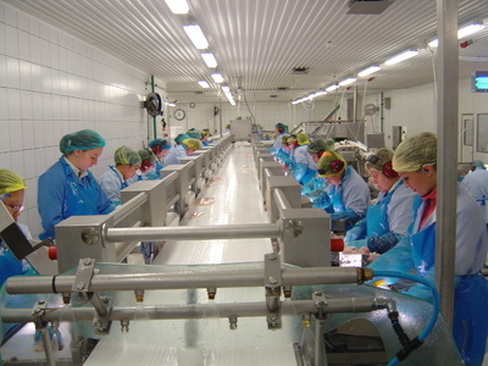 Samherji, founded in 1983, is a leading seafood company in Iceland. Outside Iceland, Samherji has or takes part in operations in Germany, Poland, U.K., the Faroe Islands, Africa, Canada, France and Spain. Samherji is a vertically integrated seafood company, controlling a significant volume of fishing quota, operating a powerful fleet of fishing vessels; freezer and fresh fish trawlers, as well as multi purpose vessels, white fish factories and fish farming. Want to know more about Maintx?